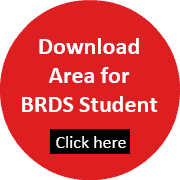 The study material is prepared and continually updated in-house at BRDS. The study material has been prepared to cover all the aspects to crack Aptitude Test / Situation Test / Studio Test / Portfolio and Interviews conducted by the design colleges. The curriculum is prepared after extensive analysis of exams of NIFT/NID/MIT/CEED and various design colleges over the years and the latest developments in all the subjects.